McAfee & Taft labor and employment attorney Philip R. Bruce has been named a member of the Employers Counsel Network (ECN), an exclusive affiliation of leading lawyers and law firms across the United States and Canada, dedicated to advising and representing employers in all facets of labor and employment law and workplace disputes. McAfee & Taft is the sole member law firm to represent Oklahoma in the network. 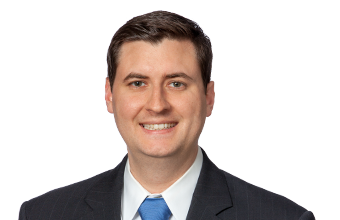 In this new role, he also joins fellow McAfee & Taft employment lawyers Courtney Bru, Charlie Plumb and Paul Ross in serving as co-editors of the Oklahoma Employment Law Letter, a monthly review of new court decisions, regulations and laws that affect state employers. With 181 attorneys, McAfee & Taft is one of the nation’s 250 largest law firms as ranked by the National Law Journal.